Size M, heavy silver, fully U.K. hallmarked ring. 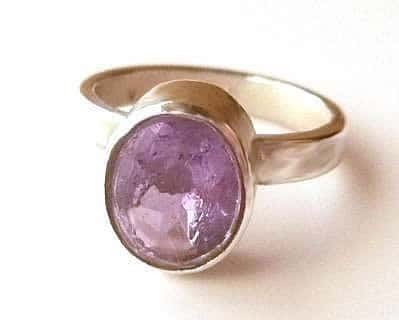 Set with a pale purple, oval sparkling amethyst stone 10x8mm. This style of ring is suitable for everyday wear because of the tube setting (no claws to get caught). One off ring.